I can’t believe it is already December! With the holidays coming up, so is our Winter Party! The General Store has been a huge success in regard to raising money for parties, and we will continue to sell items on Fridays. If you would like your children to participate, please send them with money, or give me or Ms. Cheyenne money in advance, and we will hold onto it for them. If you or your children have any ideas you would like done for our Winter Party, feel free to let me know; we are open to suggestions. Unfortunately, winter also brings cold weather, but we still will go outside when possible. Please remind students to remember to keep their coats with them for after-school activities. It has been a great school year so far, and I can’t believe it is already halfway over. I have truly enjoyed watching your children learn and grow throughout the year, and I can’t wait to see what the second half of the year brings. Have a Happy Holiday Season, and a safe and wonderful break. I will miss you all, and see you next year! We are offering all-day programming for select days during winter break, Dec. 21-23 and Dec. 28-30 from 7 a.m. to 5:30 p.m. We will not provide programming on Dec. 24, 25, 31, or Jan 1. The Winter Break program will be located at Briarwood Elementary School, 265 Lovers Lane. Registration for this program is Nov. 30 through Dec.11. No refunds or credits will be given after the cancellation deadline of Dec. 16. The cost is $25 per day per child. We will provide breakfast and an afternoon snack, but students will need to bring a sack lunch and a drink. Please call our office at 270-842-4281 to register. Teenagers are often a forgotten group for charitable giving during the holidays. Bowling Green-Warren County Teen Angel is a Christmas assistance program that tries to bridge that gap. Less-fortunate students ages 13 and older who are enrolled in a Warren County Public or Bowling Green Independent school are eligible for the program. This year we have more than 300 teens who need our help! On Friday, Dec. 4 volunteers from VISION: A Multi-Agency Council, Crocker Law Firm and others will be collecting cash, checks and gift cards (Target, Wal-Mart, Kmart, Kohl’s, Meijer and Greenwood Mall). one hundred percent of the donations go to help teens in our area have something for Christmas. All individual donations made that day will be MATCHED by Crocker Law Firm, are tax deductible, and support teens who otherwise may not receive any gifts during the holidays. Come out and help give local teens in need a wonderful Christmas! 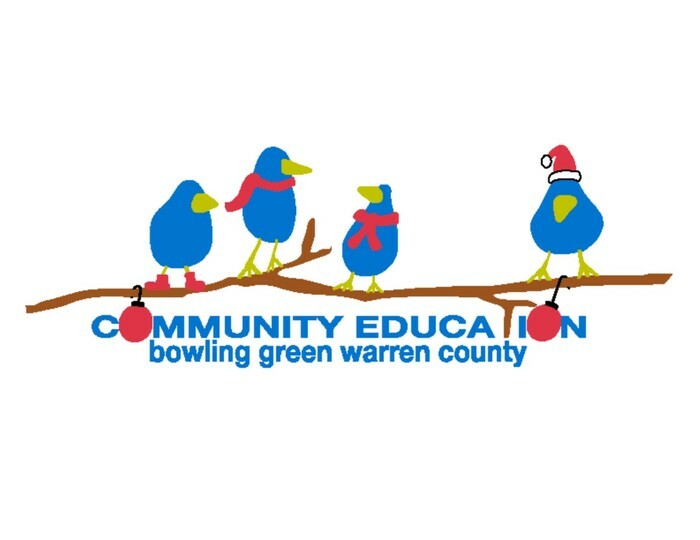 Community Education is offering an all-day program for elementary school children on snow days declared by either Bowling Green Independent or Warren County Public schools. Parents must register children in advance in order to use the program. Snow Day programming will run from 7 a.m. to 5:30 p.m. at Bowling Green Independent Schools’ Professional Development and Learning Center at 503 Old Morgantown Road. There is a non-refundable $30 registration fee for the snow day program. Each Snow Day Program costs $25 per day per child. Breakfast and snack will be provided on the snow days, but students will need to bring a sack lunch and drink. 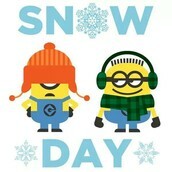 *Contact the Community Education office at 270-842-4281 in advance of a snow day to register your child for the program. There are a limited number of spaces available. FUNNER Cards on sale now! The Bowling Green Hot Rods and Community Education are partnering to bring you FUNNER Cards. For only $25, you can get over $300 worth of amazing deals including eight individual tickets to Hot Rods' games (four to ANY game and four to any Sunday through Thursday game), 10% off all purchases at The Body Shop, and more! Just in time for the holidays, these make great gifts for friends and family! A portion of the proceeds help support Community Education's school-age programs. Forms will be available at your after-school sites or you can call Community Education at 270-842-4281 for more information. The Community Education office at 1227 Westen will be CLOSED Dec. 24-25 and Dec. 31-Jan.1 for the holidays. Monthly fees for full-time before- and after-school care are due on Jan. 1; please schedule your payments accordingly. Full semester payments (to recieve a 10% discount) also are due on the 1st. Online payments can be made through Tuition Express at any time. If you are not already registered with Tuition Express, call our office for more information.